The central location of your student accommodation means that you can meet friends for coffee at Tamper Sellers Wheel at a moment’s notice. Stroll to Fargate and The Moor shopping precincts to choose a new outfit or pick up the books you need for class, or head to the Millennium Gallery to learn more about Sheffield’s heritage. Get back to nature with a stroll through the greenery at Sheffield Winter Garden before a show at Crucible Theatre. 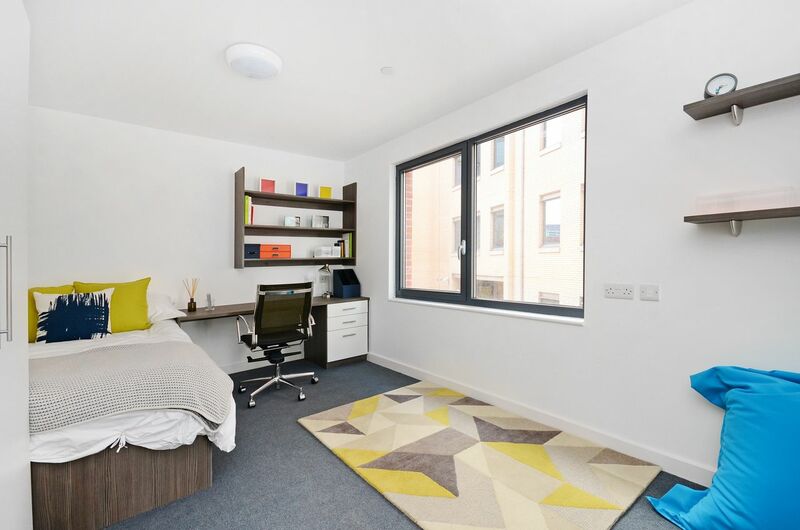 It’s a five-minute walk to lectures at Sheffield Hallam University from your home at Pearl Works. Students at University of Sheffield can walk to class in 20 minutes, or catch the bus and get there in half the time. There’s a bike store if you have your own wheels. Your student accommodation in Sheffield is equipped with everything you need to feel right at home. 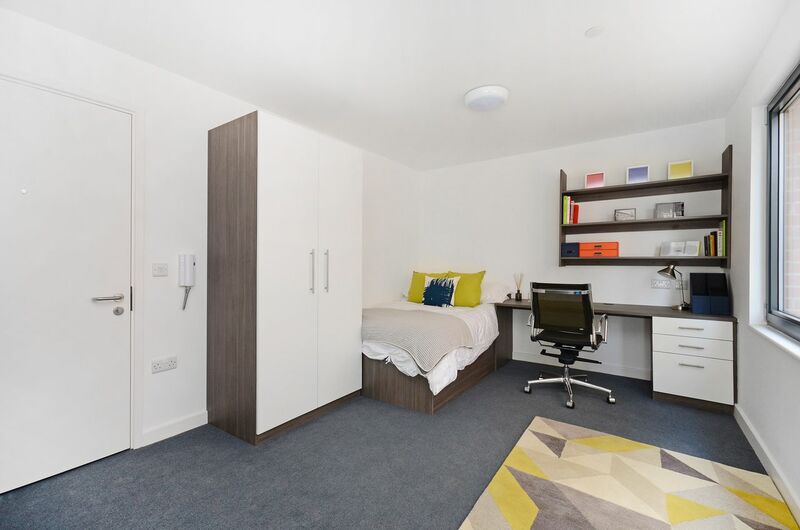 You’ll be living in a self-contained studio, complete with a fitted kitchen where you can make your favourite meals using the microwave and hob. There’s a fridge/freezer and plenty of cupboard space. After you’ve eaten, sit at your desk and connect to the free Wi-Fi to tackle an assignment. When you’ve finished, drop your clothes at the laundry room and freshen up in your private bathroom before taking the lift downstairs to meet friends. All bills are included, so it’s easy to manage your money. Wir haben leider keine Unterkunft gefunden, die deinen Wünschen entspricht.Alle Ganze Wohnung in Pearl Works ansehen.